The 4-star Diplomat Hotel is located in Prague’s quiet diplomatic quarter, not far from the historic city centre. 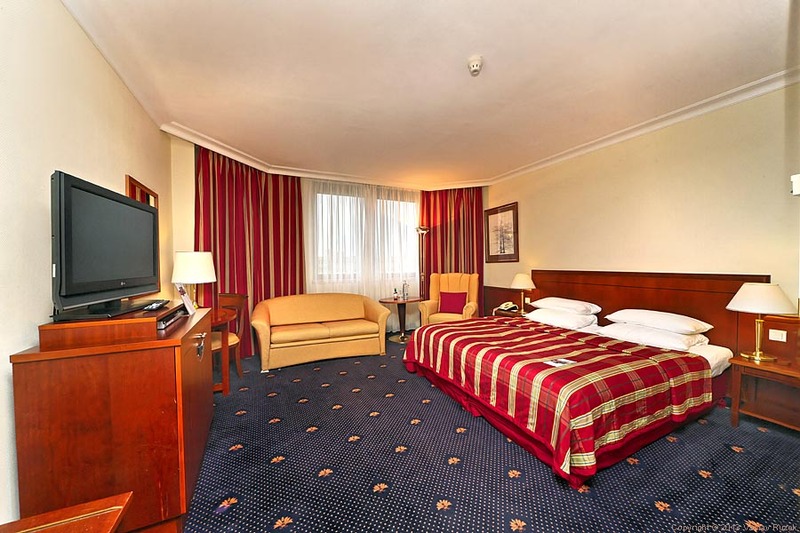 The 398 rooms and the hotel conference centre help to make the hotel one of the most popular venues for conferences in the Golden City. 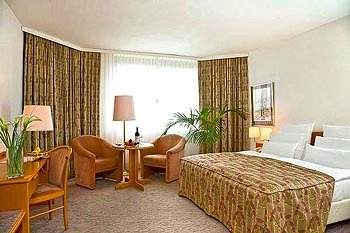 Breathtaking views over the rooftops of Prague are a special luxury of the Diplomat Suite. From the 9th floor wellness area with club atmosphere, even Prague Castle appears near enough to touch. 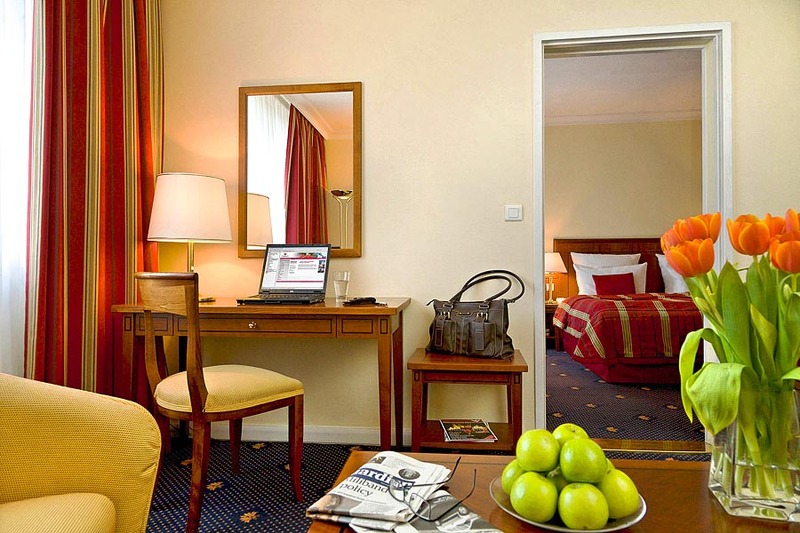 The Standard Rooms are comfortably equipped with air conditioning, flat-screen TV (including three HBO channels for free), DVD player, minibar hairdryer, direct-dial telephone with voicemail and high-speed internet access. 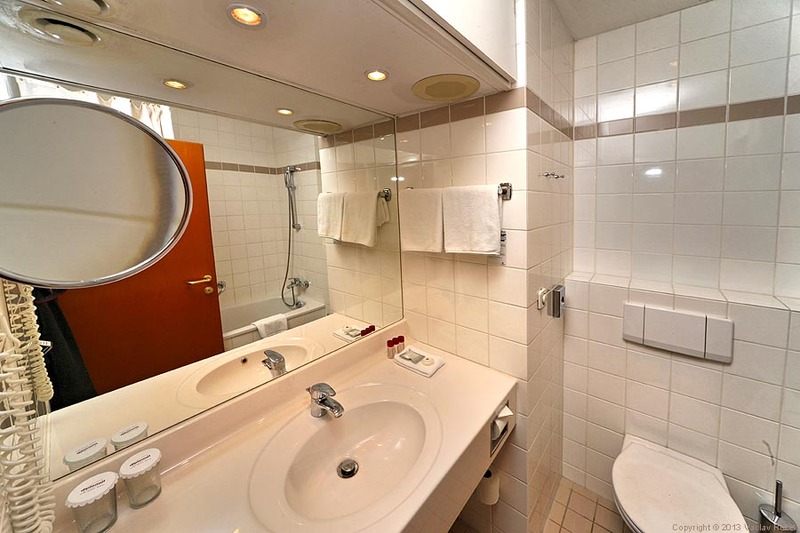 The Suites offer: separate living room, separate bedroom, balcony, spacious bathroom with bidet, trouser press, possible to connect the suite with another room. 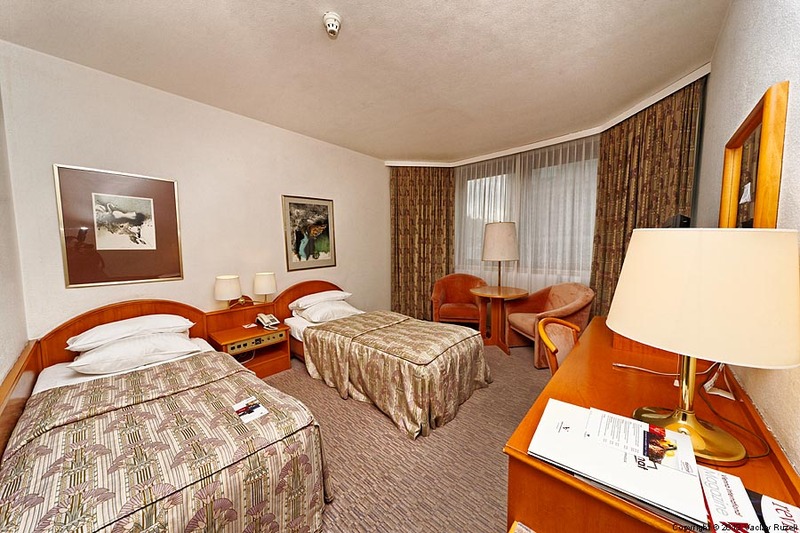 In addition, the Diplomat Suite offers: breathtaking views of Prague Castle and over the rooftops of Prague spacious and luxurious lounge area. 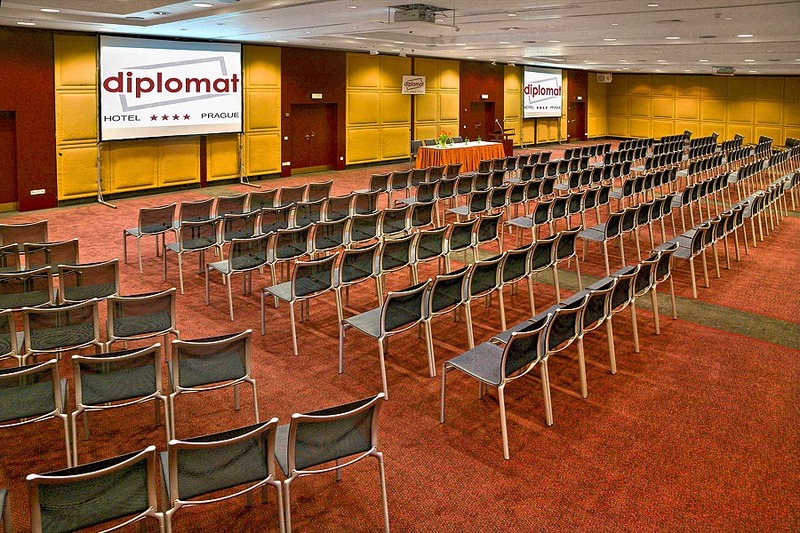 The high standard of quality and the convenient location make the Diplomat Hotel the ideal conference venue. A professional team is on hand to take care of the organisation of all events. 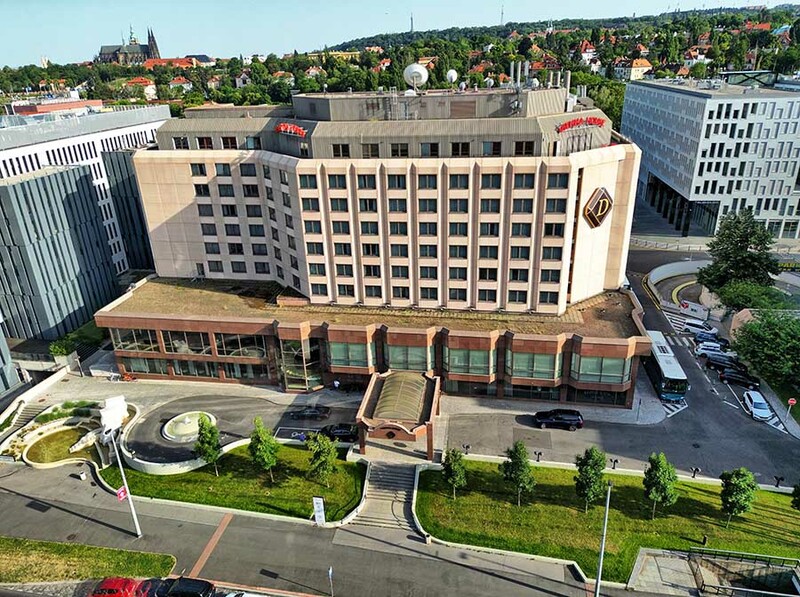 The large conference and event centre consists of 22 meeting rooms for up to 1,050 people with a total of 1,600 m2 of conference space as well as a 2,000 m2 exhibition area. 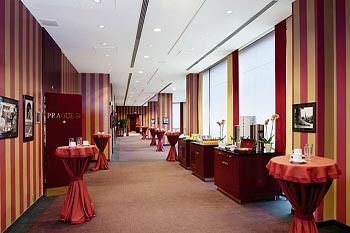 The variable conference rooms with spacious foyer have a capacity for up to 400 people. 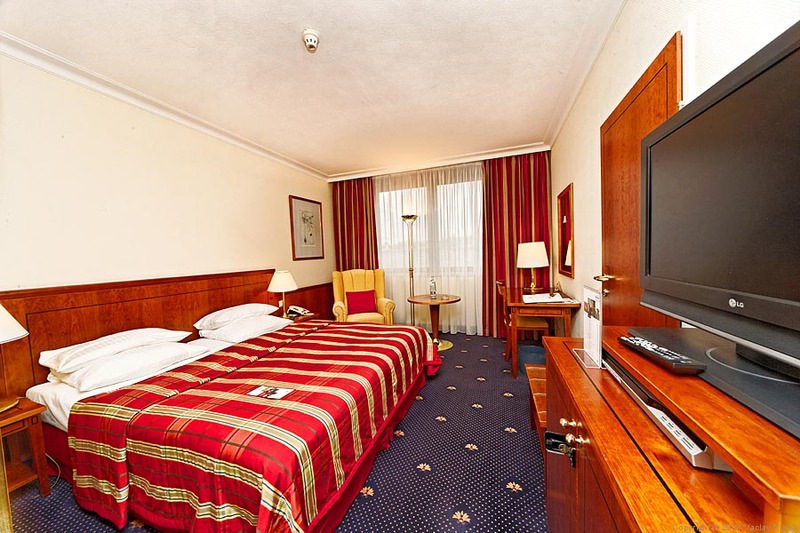 Perfect working conditions are guaranteed thanks to climate control and state-of-the-art audiovisual and multimedia technologies, broadband internet access, electronic screen navigation and simultaneous interpretation facilities. Conference attendees will enjoy the service of the restaurant Loreta, with exquisite coffee breaks, a balanced business lunch or a gourmet dinner. 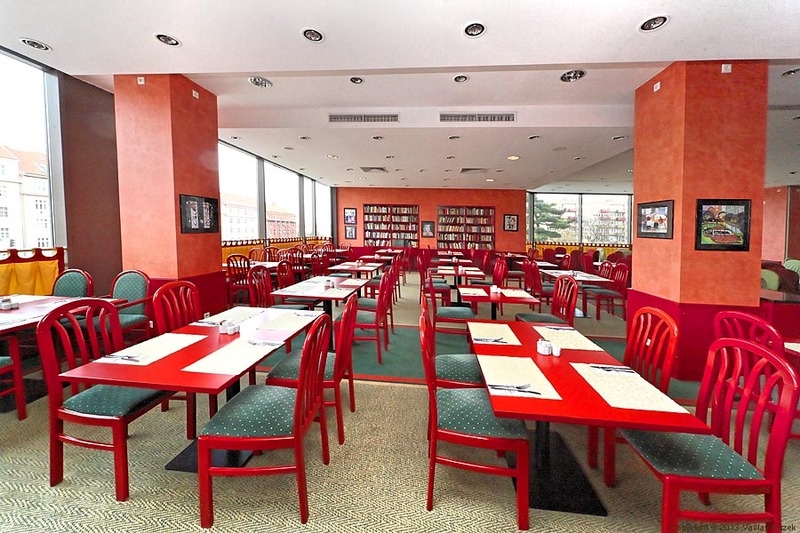 Enjoy Czech and international cuisine with a modern twist prepared in our CD Restaurant. Savour authentic dishes with the finest regional ingredients by our chef Vladimir Kovařič. 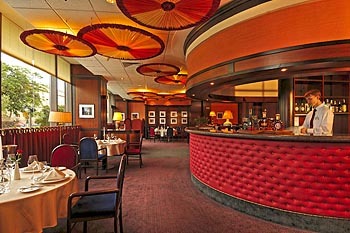 The seasonal menu is unique and imaginative, placing emphasis on simplistic cooking and classic presentation. 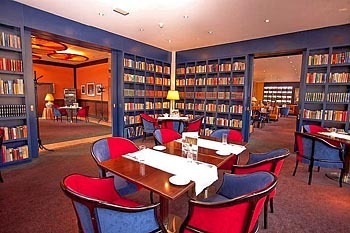 CD Restaurant also boasts a strong Austrian wine culture, local traditional beers and international cocktails. 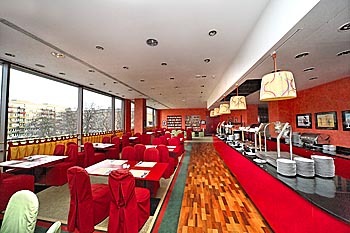 The restaurant has a capacity for up to 80 people, our nice summer terrace for another 40 people. 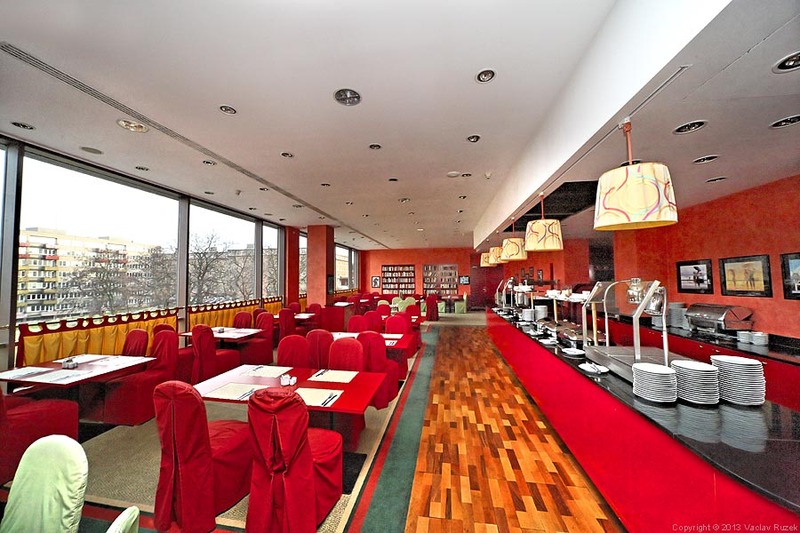 The Loreta restaurant, with its natural daylight illumination, is well suited for breakfast buffets, lunches, dinners and special events. 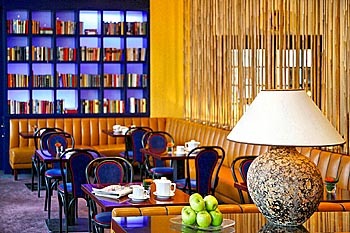 Its regular opening hours are for breakfast in the morning. 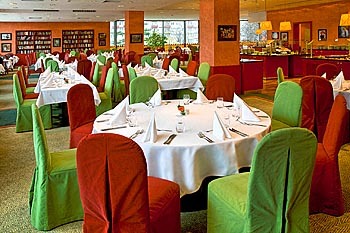 The restaurant has a capacity for up to 300 people. 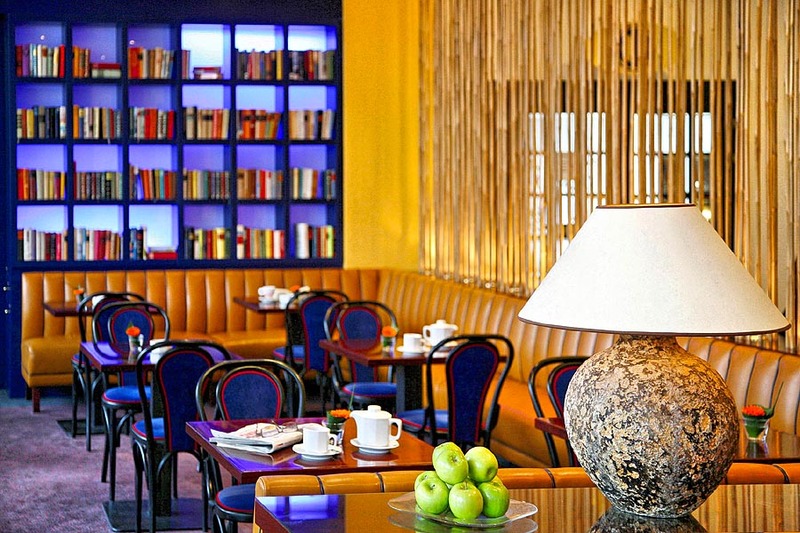 Café Klimt is the perfect place for a cup of coffee and a piece of cake or for tasting the delicious sandwiches and snacks at any time of the day. 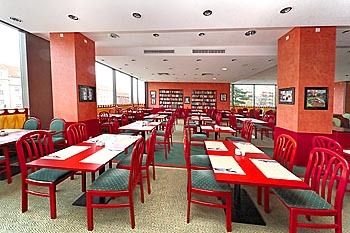 The café has a capacity for up to 60 people. With 15 years of experience and top-level cuisine full of creativity, the Diplomat Hotel catering service has distinguished itself as a leader in innovative and exciting catering services. Lasting partnerships with embassies, ministries and corporate clients bear witness to its professional service and highest standard. Our catering prepares buffets and cocktails for up to 150 people for events such as: small family celebrations, corporate events, garden parties, weddings. A fully equipped fitness centre is available for all hotel guests daily from 07.00 a.m. to 10.00 p.m. at extra charge. Guests of the health club can use the hotel parking for free. 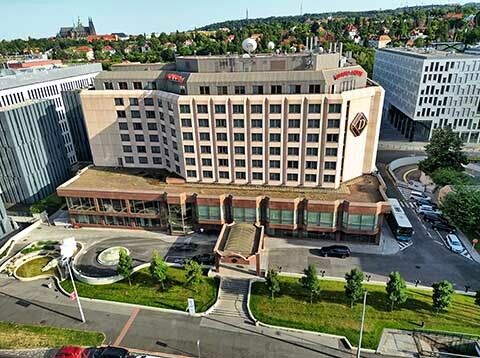 Enjoy effective relaxation in the comfortable atmosphere of the wellness area with breathtaking views of Prague Castle. 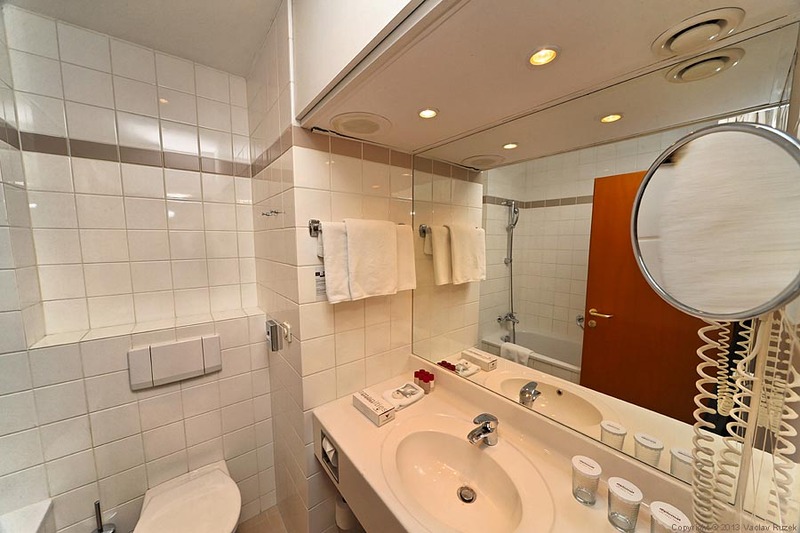 Additional services include private spa suites, an exquisite sauna landscape, salt steam baths, a whirlpool, special or classic massage treatments as well as cosmetics from Payot. Extra services such as a business centre, a car rental, a hairdresser and a beauty studio add to the convenience and comfort of the hotel. 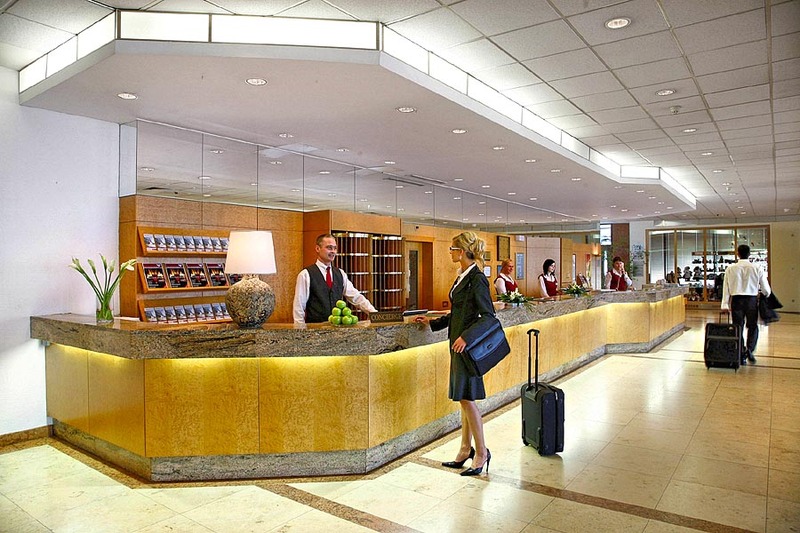 The concierge will gladly organise airport transfers or sightseeing tours, book tickets for cultural and sports events, or arrange babysitting services for you. 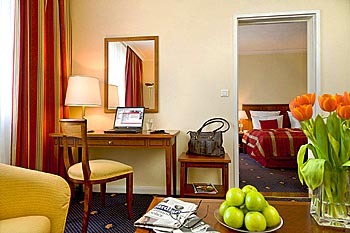 These rates are available for reservations made through this website only! Not valid for bookings made through other websites. 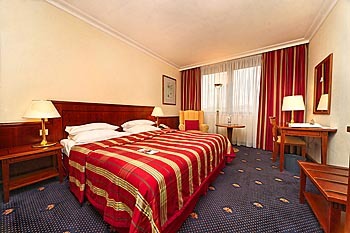 All rates are in Euro, per room and night, including breakfast buffet, service charges, VAT and all taxes. Children till 12 years free of charge in the parents room. 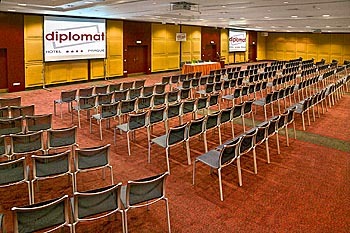 We can offer very advantageous prices from 30 EUR per person for business meetings, conferences or training courses.